A lot of love is coming. Fortnite: Battle Royale is about to receive its v7.40 game update. This might be one of the last updates of season seven, which ends on Feb. 28. There are no new Battle Pass challenges on the way, but that doesn’t mean that developer Epic Games has no plans for Fortnite before season eight begins. Players have already received several hints over the past few days regarding what’s coming in the v7.40 update, aside from the expected bug fixes and stability adjustments. The v7.40 update isn’t confirmed yet, but it’s likely coming early Tuesday, or Wednesday at the latest. This is what we expect to see in the v7.40 Fortnite update patch notes tomorrow, based on previous updates and what Epic has already confirmed for players. Epic has announced several balance adjustments to the most controversial items and features in the game. The Hand Cannon will deal less damage to structures, X-4 Stormwing Planes will no longer be able to smash through structures, and the reload time of Rocket Launchers will increase significantly. 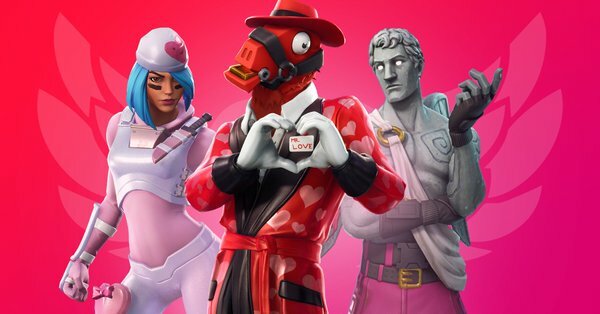 Epic has confirmed a new competitive Fortnite mode will be available in v7.40: The Share the Love Competitive Series. It resembles a ranked system. Players will be split across four divisions that will run at the same time each day, and they’ll be able to move up to another division if they earn a pin at the end of a daily session. Those who earn a pin at the highest division, Champion, will have access to the Champion Division finals, which will take place on Feb. 23 and 24. Players who played placement matches this weekend will already be assigned a corresponding division. Epic has refrained from commenting if any stage of the Share the Love Competitive Series will have prize money for contenders. Season seven weekly challenges are already done, but there are a few weeks ahead before the season ends. That’s why Epic has confirmed a new set of challenges called Overtime. They’ll be available to all Fortnite players until Feb. 28, when season seven ends. Epic revealed the Infantry Rifle in the News tab inside Fortnite yesterday. This rifle should come with the v7.40 update tomorrow. We still have very little information about it, but it’ll likely replace another weapon that could be vaulted. Developer Eric Williamson confirmed two weeks ago that a nerf to controller aim assist was coming in v7.40. He and the development team will likely add a short cooldown to the aim assist effect when it’s triggered by aiming down sights. It will stop aim assist abuse that has been turning this feature into a built-in soft aimbot. So far, this is what might come tomorrow when the v7.40 patch drops for Fortnite. More stuff is sure to come, and we will update this story as Epic reveals more information about the update.